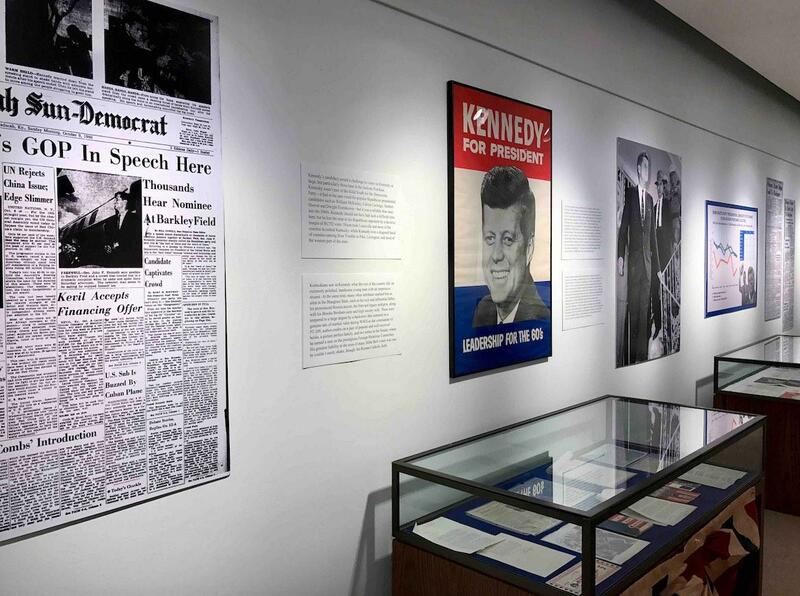 Murray State University is looking back on John F. Kennedy’s campaign in the Jackson Purchase region and the 1960 presidential election in a new museum exhibit. “Kennedy Comes to Kentucky” opens Tuesday in the Wrather West Kentucky Museum on campus. Curator Jeff McLaughlin said assembling the exhibit gave him an insight into the thoughts of politicians on Kennedy’s candidacy. “I couldn’t stop stumbling over all of this JFK memorabilia. There were literally boxes and boxes of things like coins, medals from the lunar landing and 50 cent pieces and postcards and magazines and magazines and magazines," McLaughlin said. McLaughlin said he hopes the exhibit encourages visitors to "recognize the value of keeping an open mind when they go to the ballot box.” The exhibit includes photos, campaign memorabilia and assorted documents on loan from MSU and Western Kentucky University. Though Richard Nixon won Kentucky in the 1960 race, Kennedy carried all eight counties in the Purchase area. The exhibit is open through March 14.